Thousands of collectors will be experiencing this once-a-decade exhibition. We wanted to make it easy for everyone in the United States and around the world to make a donation because it is your support that makes this world-class event possible. Every contribution gets us closer to the finish line! The World Stamp Show-NY 2016 organizing team has set up a variety of categories to help you decide the support level best for you, each with an assortment of “thank you’s”. All contributors get an electronic newsletter subscription and a quantity of exhibit frame "Honor Plaques," a way to leave an encouraging message to show-goers, or commemorate a person or organization that will appear on each WSS-NY 2016 exhibit frame. Please read carefully! You do not need a PayPal account to use this service. Our show PayPal email account address is: donation@ny2016.org. Please let us know your Membership level and feel free to leave a message on the Payment page by clicking "Add a note to World Stamp Show-NY 2016." Due to convenience charges only payments of $25 or more may be made by credit card. Click the Donate button here and enter your amount and payment method on the next page. 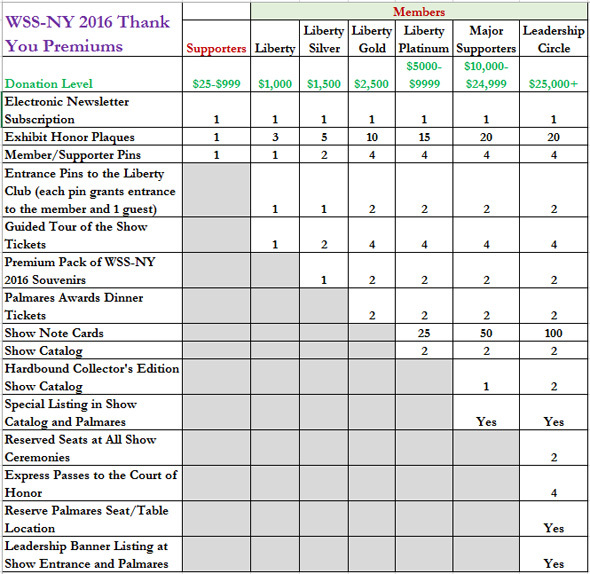 All donors will be recognized on the WSS-NY 2016 web site and in the show program unless anonymity is requested. Can your contribution be doubled? Some employers match donations dollar-for-dollar made to charitable organizations. Does yours? If so, tell your employer of your donation and tell us as well! 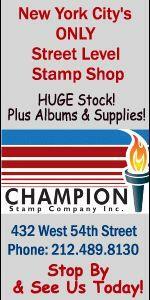 Our "Entry Level and Youth" area can use stamps and other philatelic items as give-aways to our many visitors. Anything you can donate would be appreciated. See more here. Do you have questions about any aspect of making a donation? Just click our email address at the bottom of the page. 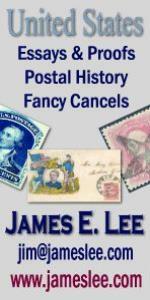 New York Philatelic Exhibition, Inc. has received 501(c)3 recognition from the U.S.
extent of the law for those who itemize. Check with your tax preparer for details.